How I came about finding spring's prettiest shoe color is random, but it involves one of my favorite flowers and shoe brands. Last weekend, I stepped outside and observed that cherry blossom season seemed to have started in full force overnight. The fluffy, pink flowers don't bloom for long, but when they do, it's hard to forget about them until they bloom again the next spring. As one does when something's on their mind, I googled cherry blossom when I was back to being glued to my computer on Monday, and my search somehow led me to shoes (which wasn't the first time, if I'm being honest). Specifically, it led me to a pair of perfect spring shoes by Loeffler Randall (one of my favorite shoe brands) in the prettiest spring color—you guessed it, Cherry Blossom. 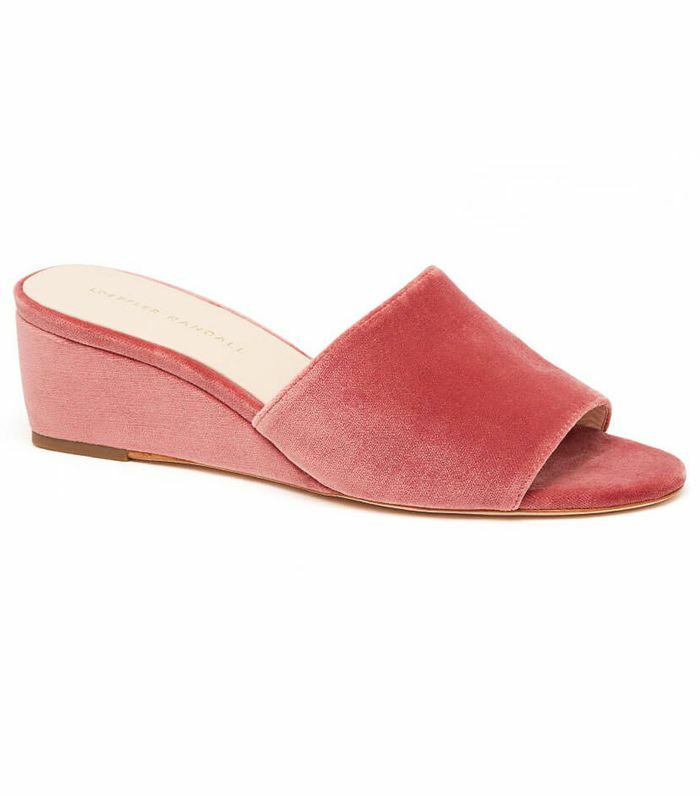 The cherry blossom pink shoes are made of plush velvet and come in three walkable heel styles: a wedge (my personal favorite), a kitten heel (a very close second), and a block heel (also perfection). Good luck finding a brand that makes more comfortable heels than this one. What I love about this color is that it's a slightly darker, richer pink than the shades we see so often. It resembles that part of the flower where the center's dark color starts fading to the petals' pale pink color. But most important, they'd look perfect with everything from dark denim to bright white. Consider them the perfect shoes to wear during spring, the most transitional of seasons. 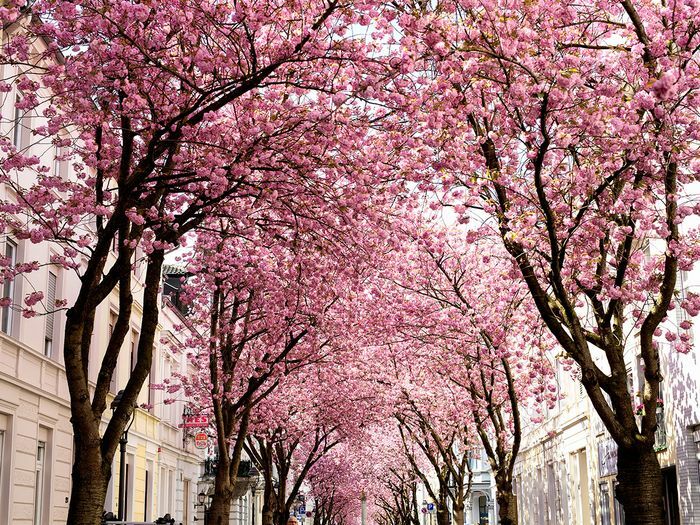 Scroll to shop and then go outside and see some real cherry blossoms (or at least google them).